The typical GPS will get you where you’re going, but they require having yet another piece of hardware stuck in your car. 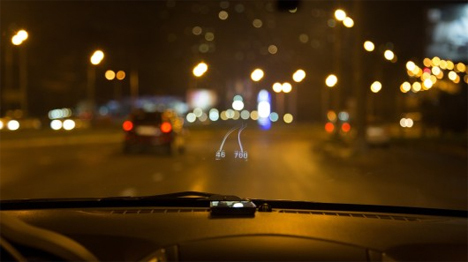 The Hudway app uses just your phone and a non-slip surface to create a futuristic-looking heads-up display (HUD) navigation projection on your windshield. To use the app, you have to start off in a place with internet access. Enter the starting and ending points and let the app configure your route, and then you’re free to start on your journey. Place the phone (iOS only at the moment, but an Android version will follow soon) on the dashboard just under the windshield. 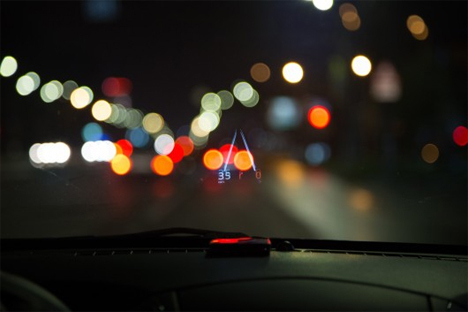 As you drive, the app will shine a reflection onto the windshield telling you which way to go and how far until the next turn. The app isn’t perfect – it’s a little blurry and almost invisible in the daylight. The developers point out that the app is meant to be used in low light or low visibility situations, not in the bright light of day. Hudway is available to download now, but if you want the ad-free version it’ll cost you a whopping 99 cents. See more in Phones & Mobile or under Gadgets. November, 2013.